“HCV telemedicine program satisfying, cost-effective in Spanish prison: A telemedicine program brought high levels of satisfaction and proved cost effective in patients with hepatitis C in a Spanish prison, according to data presented at The Liver Meeting 2018…” Read more about Spain’s prison-based HCV “Telemedicine” treatment model. Come visit HepCBC’s “Liver Wellness” info table at the “Surrey Health Expo” on Saturday, January 26, 2019 between noon and 5 pm. It is at Surrey City Hall, 13450 – 104 Avenue in Surrey. Please stop by to say hello to our volunteers. The organizers generously donated HepCBC a 2-page spread in “South Asian Health” magazine plus the space for our booth. Come, enjoy, and support this great annual event with us. “Nurse-led HCV care model results in 95% or higher SVR rates in prison: A decentralized, nurse-led model of hepatitis C care with direct-acting antivirals was significantly effective and led to high levels of sustained virologic response in a large cohort of inmates, according to a recently published study.” Read more about Australia’s prison-based “Nurse-Led” and “Sexual Health Service” treatment models. 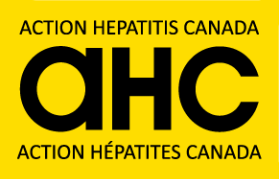 HepCBC is quite interested in NASH [Non-alcoholic steatohepatitis] because people with hepatitis C are particularly vulnerable to NASH, even after being cured of hepatitis C! Register for a free CCO webinar January 29th, 30th, or 31st: “Identifying and Managing NASH in High-Risk Populations: A Silent Epidemic.” Targets physicians seeking CMO credits, but anyone can register. Study of 3051 patients determined prevalence of chronic HBV, HCV, and HIV infection among patients with newly-diagnosed cancer. A high proportion of those detected with viral hepatitis in this screening were newly-diagnosed (42.1% of the chronic hep B and 31% of the hep C), suggesting that hepatitis B and hepatitis C screening of all those newly-diagnosed with cancer “may be warranted”, though screening them for HIV probably is not.